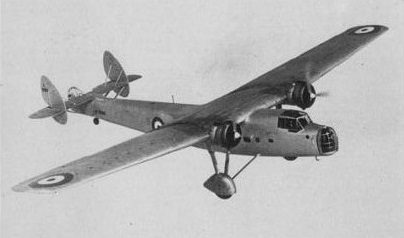 Designed to a specification calling for a 24-troop personnel transport that could double as a bomber, the Bombay was a high-wing monoplane with a fixed landing gear. Power was provided by two 753kW Bristol Pegasus XXII radial engines mounted on the leading edges of the high monoplane wings. Defensive armament comprised Lewis guns in nose and tail positions. A notable feature was a very strong wing of multi-spar steel strip construction. 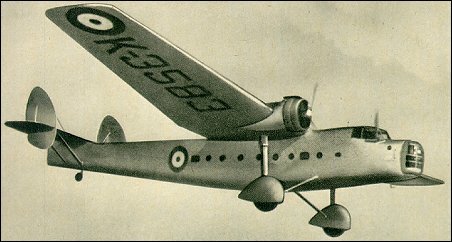 The prototype first flew on 23 June 1935 with Pegasus X radials driving fixed-pitch propellers and Bombay construction was transferred to Short & Harland in Northern Ireland and the first of 50 Bombay Mk I production aircraft flew in March 1939 with variable-pitch propellers. Some were used to ferry supplies to France between the autumn of 1939 and the spring of 1940, but the type was operated mainly by four Middle Eastern squadrons primarily as a transport, though some night raids against Benghazi were flown in 1940. 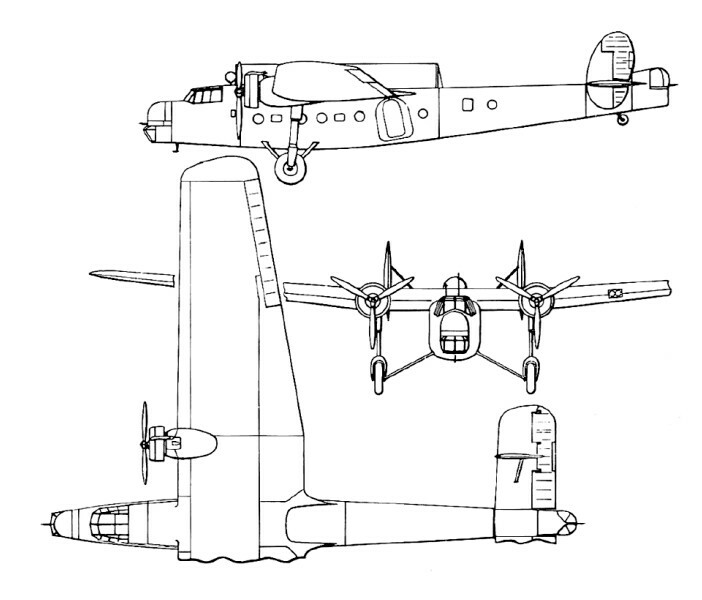 A number were also employed temporarily as night bombers against Benghasi, Libya, in September 1940. Armament: 2x cal.303 MG (7.7mm), 907kg Bomb. ext.